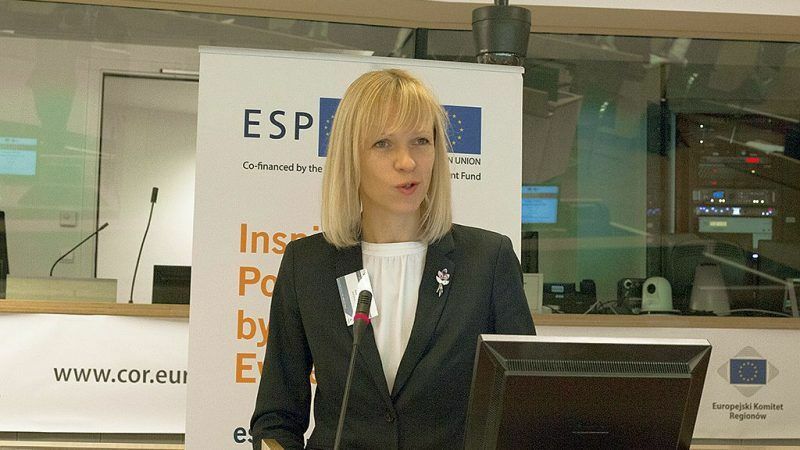 Territorial Cooperation has a limited spending scope and must be integrated into the mainstream cohesion policy funds, where there is a substantial amount of investment available, the director of ESPON EGTC, Ilona Raugze, told EURACTIV in an interview. ESPON EGTC is a pan-European programme co-funded under Interreg and managed by the Luxembourgish ministry of sustainable development and infrastructure, which provides scientific analyses and advice for territorial and sectoral policies to all member states, as well as Iceland, Lichtenstein, Norway and Switzerland. Raugze said macroregional strategies could be successful if they “understand what are the functional issues that bind them together” and address the issue of funding, because “one thing that currently limits their impact is this agreement that macro-regions are not linked directly to any funding source – the so-called ‘three no’s rule’. On the future of Cohesion Policy, the ESPON EGTC director said she was in favour of “locally and regionally designed strategies because regions understand better the needs of the citizens”, but warned that the strategies should aim at broader areas in order to “increase visibility and avoid wasteful investments”. She spoke to EURACTIV’S Nikos Lampropoulos. Is it possible for territorial cooperation programmes to work more closely with the next mainstream programmes of Cohesion Policy? We need to promote more co-operation among places and this should not be supported only in the framework of territorial Cooperation Project. The type of spending that you can actually make in the frame of territorial cooperation programs is quite limited and a quite substantial amount of investment is available within mainstream programs for developing services, for developing infrastructure, for promoting knowledge economy. None of these challenges nowadays can be successfully addressed by places only acting alone, making small investments within their administrative boundaries. To make Cohesion Policy more successful and to help places grow, there is a clear need to implement joint projects, joint activities. But with the current set of regulations of Cohesion Policy and of other policies this is still quite difficult, as it is also quite difficult to combine different funding sources around the single regional strategy. That is why the Commissioner was referring to the need to harmonize the regulations of different EU funds to make sure that regions and cities can support the implementation of their designed strategies at the local level. This is what we call place-based strategy. So your suggestion is that national and regional programmes should be more flexible in the way they are financing projects and also in their initial design, to leave more space for cooperation during the implementation? Absolutely. We believe that one part of these strategies has to be devoted exactly to these cooperative investments, cooperative projects. In the beginning, we came up with an idea that maybe there even should be a certain share identified, like earmarked for cooperation within mainstream programmes, but this was not very much supported by the Commission since they also had a very difficult discussion on earmarking 5% for urban activities. This is why they do not want to go into that direction again, but in general terms as a principle that mainstream programs should also support cooperation, this can be promoted and it also relates to the statement of the Commissioner about the cooperation of cross-border areas. We can also think of functional urban areas, of transnational areas. At all these different scales there are different issues that have to be addressed only with cooperation, otherwise they will not bring results. What is your advice about the future of Cohesion policy? Our advice for the future of Cohesion Policy is to support the design and implementation of locally and regionally designed strategies because regions understand better the needs of the citizens best. Not the national or European level. On the condition that these strategies are designed not for a single local authority but with a view on broader areas and that they also entail projects on cooperation, roads to ensure accessibility, joint solutions for service provision. This will allow to increase the visibility of this investment but also to avoid wasteful investments – when we do similar things on very small scales – that do not bring the necessary benefits, the necessary results and in many cases, this ends up in even more spending to be able to sustain all these infrastructures. Also, in the mainstream programmes, you have a lot of money for different activities. Places should be encouraged to cooperate. What is your perception about macro-regions? Do you think cooperation can really work in this area? We think there is a future if macro-regions understand what are the functional issues that bind them together. For example, regarding the Baltic Sea region, it started with an understanding that there was a problem with the quality of the sea, it was polluted. This was what made all the member states around the Baltic Sea region join efforts, to promote cleanliness of the sea. Regions need to understand the common topics, the common subjects that bind them and that are specific for each macro-region. One thing that limits their impact currently, is this agreement that macro-regions are not linked directly to any funding source- the three no’s rule. This is something that deprives the macro-regions at the moment of the necessary added value. Do you believe they should be linked with a specific budget? Yes, absolutely. There are certain issues that have to be tackled at macro-regional scale, for example, the pollution of the Baltic Sea. They have to be financed through a macro-regional strategy. And a certain share of that has to be devoted. I don t know whether this idea will be supported because member states want to safeguard the envelopes and the money for the national needs. However, I don’t think there is any other way, considering that we have less money, and that means that we have to do more or at least the same with less. You cannot do it without engaging in local cooperation, without doing things together. ESPON EGTC is currently supporting macro-regions, designing macro-region monitoring tools for each one of them, that will allow to analyse the development trends and also the progress of implementing macro-regional strategies. These tools will also allow macro-regions to understand the specificity, the trends and how their strategies can be designed in the future.